Texas has the largest competitive electricity market in the country, with more than 85 percent of the population residing in deregulated areas – places where suppliers contend with one another to sell you power. 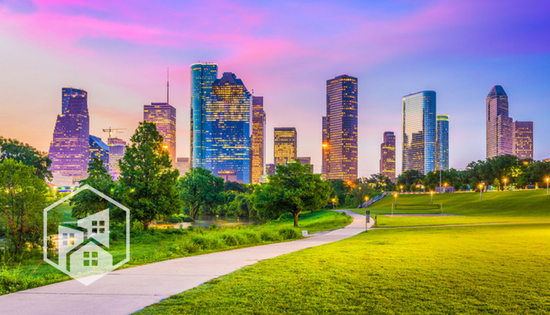 If you’re planning a move to Dallas, Houston, Fort Worth or one of these Texas cities, you must choose a retail energy provider (REP) to supply your home’s electricity. Variable-rate: Variable-rate plans can fluctuate month to month based on several market factors including weather, global energy prices and more. Experts predict that Texas energy prices will soar this summer, so a variable-rate plan may not be the best choice for new customers. Renewable energy: In an effort to make your energy more eco-friendly, many Texas providers offer plans sourced by up to 100 percent renewable energy. And just because they’re green doesn’t mean they must cost more – many green energy plan rates are just as competitive as traditional plans. Term length: Competitive plans in Texas can range from three months to three years, so you can shop for a new rate as often as you’d like. Homeowners may prefer long-term plans that offer pricing stability, while renters can opt for short-term plans with more flexibility. At first glance, deregulation can seem confusing. But it doesn’t have to be! How soon can I get my power turned on? Many providers allow customers to schedule an electricity service start date, so you can crank your home’s A/C while you unload the moving truck. What do I do if my power goes out? Your local TDU (Transmission and Delivery Utility) is in charge of delivering and maintaining your home’s power; if you have an outage, contact your TDU. My plan is about to end – what now? Texas REPs are required to send customers notice at least 30 days before a plan ends. At that time, you can either continue with your current provider (most likely at a higher rate) or come back to SaveOnEnergy.com and sign up for a new rate. Can I switch providers whenever I want? If you’re unhappy with your current REP’s rate or quality of service, you can easily switch to a new one. However, there may be early termination fees if you switch before your contract is up. Always read a plan’s Electricity Facts Label, or EFL, before signing up for service.. I signed up for a fixed-rate plan – why is my bill different every month? Your plan’s rate only applies to the “supply” portion of your bill and is typically presented as cents per kilowatt-hour (kWh). Check your chosen plan’s EFL to compare the rate at 500 kWh, 1,000 kWh and 2,000 kWh. Also, you may use more electricity one month compared with others Other fees, such as TDU or TDSP charges, are subject to change. SaveOnEnergy.com® will help you sign up for a great rate from a top Texas provider – all in just minutes. Get a head start on your moving checklist by scheduling your electricity service today. Fifteen states and the District of Columbia have passed deregulation legislation to date. If you’re moving to one of these states, you might be able to save with a deregulated energy plan.